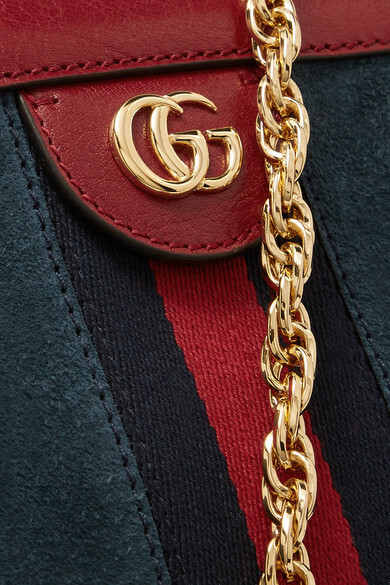 Alessandro Michele spotlights some of his favorite archival motifs and symbols in Gucci's 'Ophidia' line. 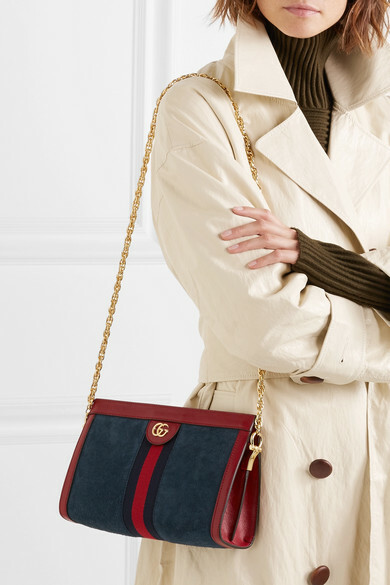 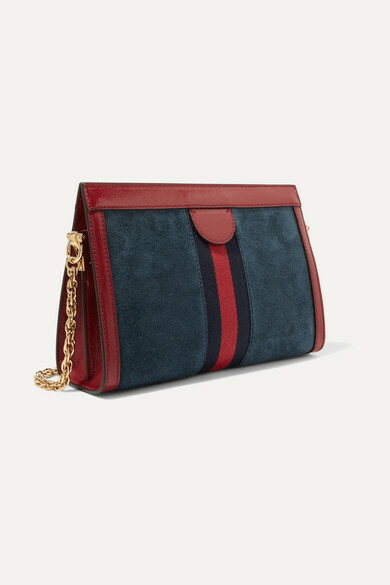 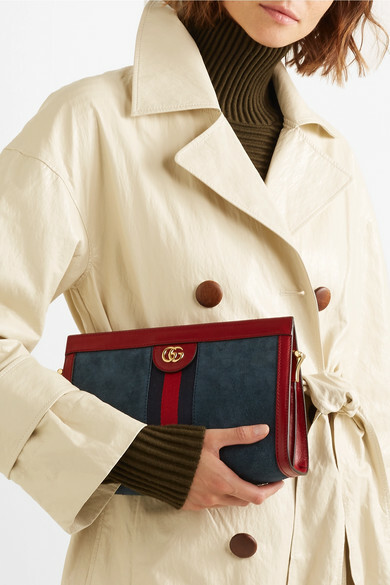 This shoulder bag has been made in Italy from navy suede and trimmed with red leather, the brand's iconic grosgrain webbing and gold 'GG' hardware. 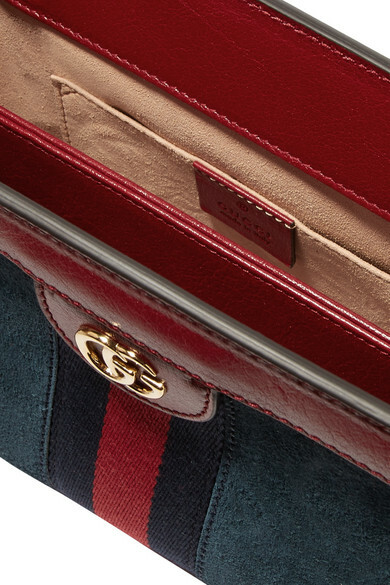 It has two satin-lined compartments so there's plenty of space for the essentials.